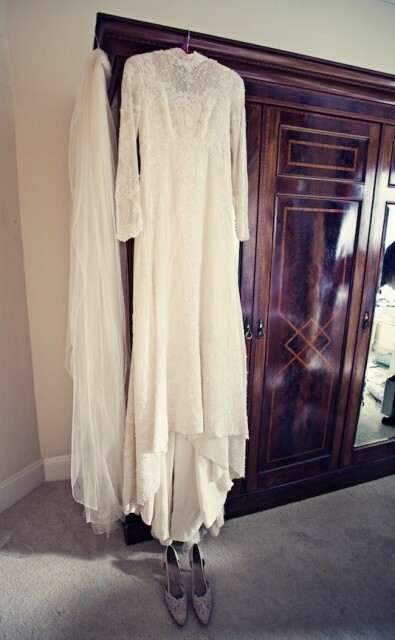 I knew I wanted a vintage style dress. But at first, I thought original vintage would be too difficult to find, or just wouldn’t fit me – I’m quite tall and don’t really have a waist! I first tried my local wedding shop back home. I tried on some stunning dresses from well–known designers, but something just didn’t feel right. 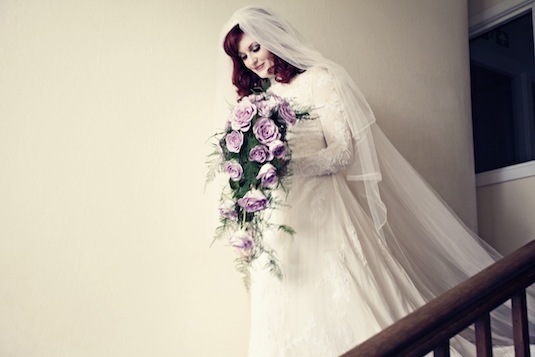 Even their vintage–style dresses looked and felt too modern. 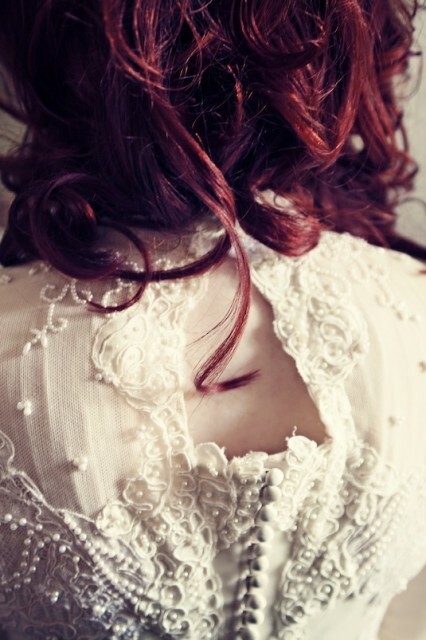 It felt like the dresses wore me and I was getting lost somehow – surprising since I wear vintage pieces anyway. I stopped to really think about what I wanted, and decided to be true to myself: it had to be vintage, 1960s and long. I liked the idea of something unique, a dress with history and a soul. I wanted to wonder who’d worn the dress before me. I knew it would be lucky to wear something so special. Then I found Helena and just had a feeling I didn’t need to look anywhere else. That was it! 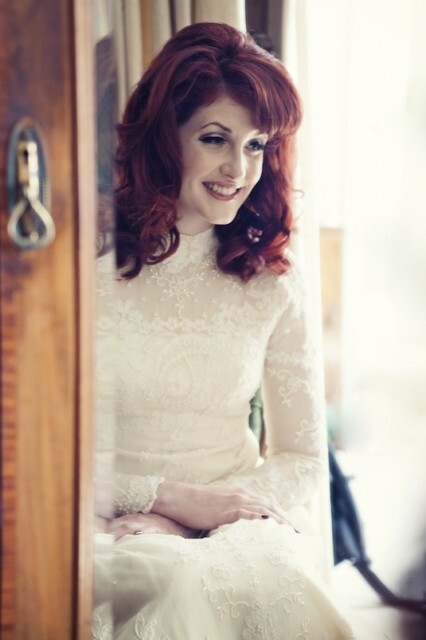 Having seen her website with all the stunning vintage dresses, I knew she’d understand and be able to find my dress. I instantly emailed her to make an appointment. I loved that I was invited to Helena’s home. It felt so welcoming and personal. Having met Helena, I quickly fell in love – like I was going to my auntie’s house to raid her time machine of days gone by. Helena always offered me a cup of tea – a great start since I love tea. Then she would just leave me be for a little while, to browse at my leisure. No pressure. 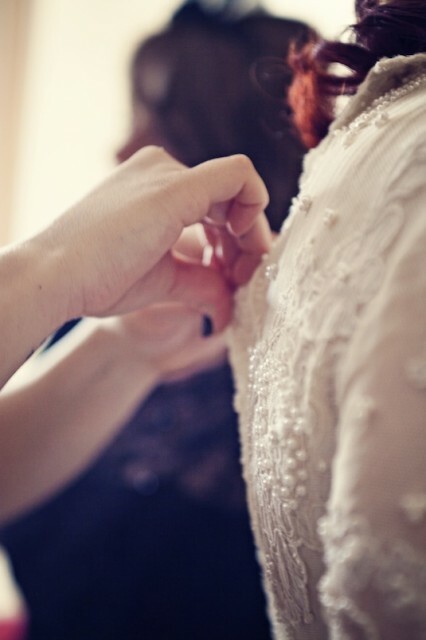 I could let my mind wander, and imagine all the beautiful brides before. 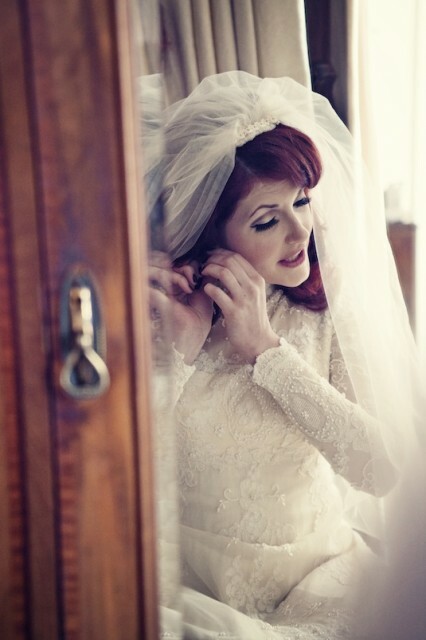 Easy since Helena has a collection of amazing dresses and veils, and pictures of vintage bride–and–grooms! It took a couple of visits to find the one. And I took my mum and sister with me on the second visit. 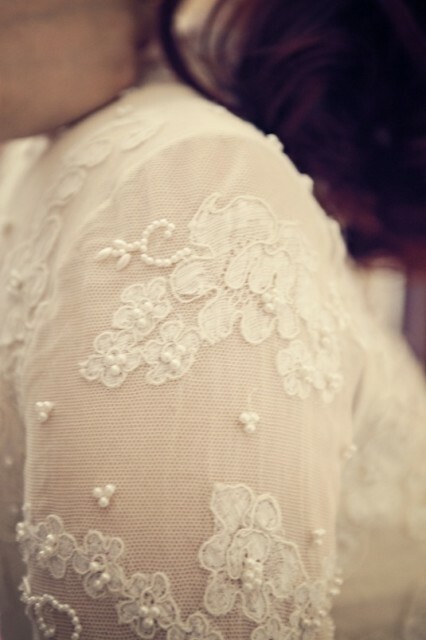 Previously, we’d established 60s and lace was the way to go. Then, it was as if she found this dress just for me. It was fate as no-one had tried it on yet – or I’m sure someone would have snapped it up! It was stunning! I remember getting really excited looking at it hanging on the rack. In my head I was thinking, it’s 60s, tick. Lace, tick. Long train, tick. I loved the colour as it was an unusual creamy lemon. (I’m very pale and don’t suit white or pure cream.) I thought: this is the one. Please please please fit! As I tried it on, it was SO perfect I actually cried. It didn’t quite fit as I couldn’t fasten it (my waist issue!) but Helena was so quick to reassure me that would be ok. And then I met Grace. 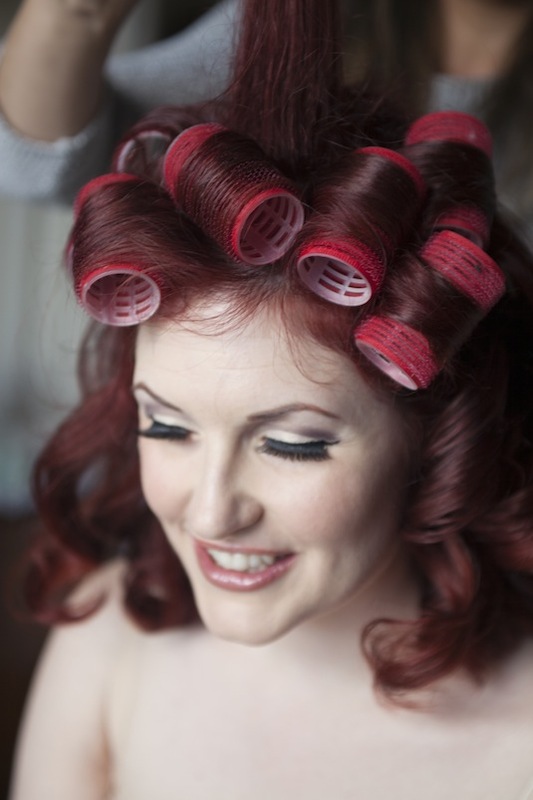 Grace is another lovely lady – and very talented. She was instantly warm and friendly: it was like going to see your big sister! Grace too reassured me she could work her magic. She cleverly made a panel in the back with a keyhole detail, and moved the buttons so it would do up. The alterations were very sympathetic to the dress and you would never know the difference as both Helena and Grace have a great knowledge of vintage fashion and techniques! I knew I was in safe hands. 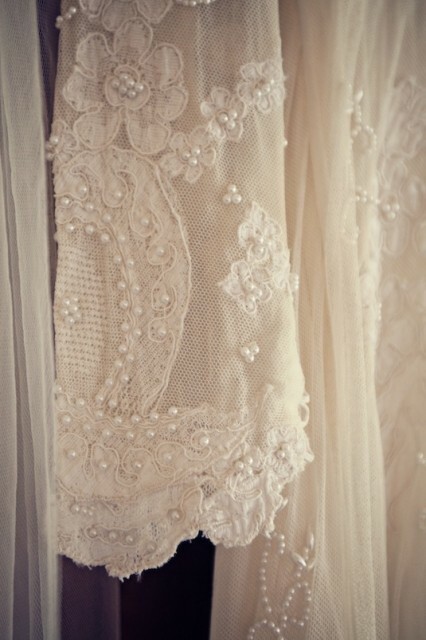 We had so much fun over subsequent fittings with my mum and sister, looking at lace and pearls to finish the alterations. 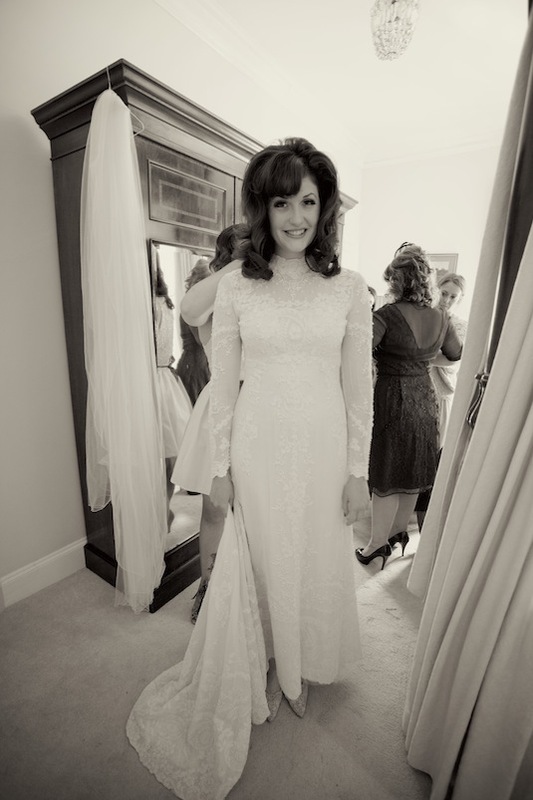 I asked Helena if she could find out some information about my dress and was excited to learn that it’s made by a designer called House of Bianchi which is the sister company to Pricilla of Boston – both well known designers in the 50s and 60s. Priscilla of Boston made Grace Kelly’s bridesmaid dresses. So I feel like I have a little piece of fashion history. 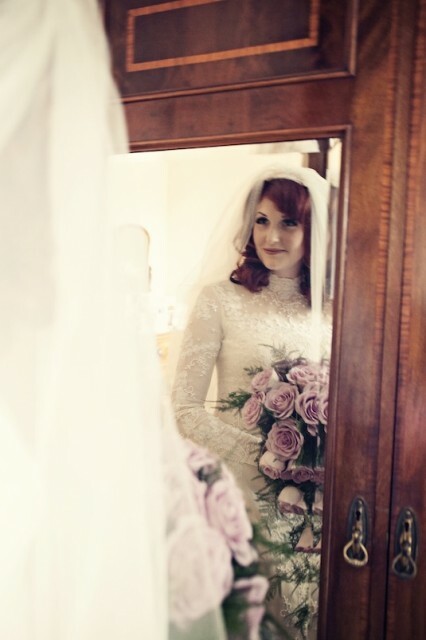 She also showed me my pictures of Helena’s other brides in the same designer! I absolutely love my dress! It is perfect in every way and I’m so grateful to have found it with the help of Helena and Grace! Fairy Godmothers do exist! 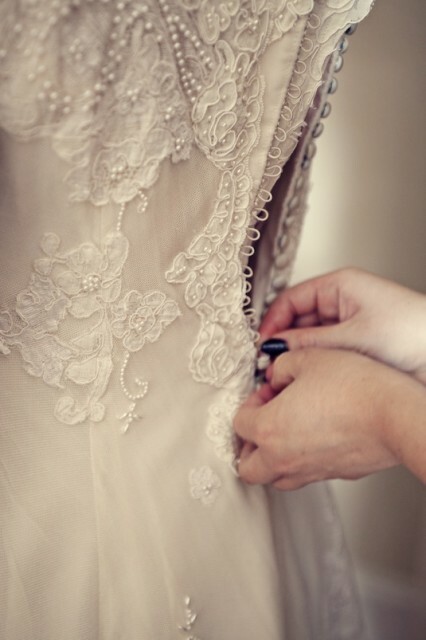 The time and effort gone into cleaning, repairing, altering it – not to mention the beading and lacework – is astounding. 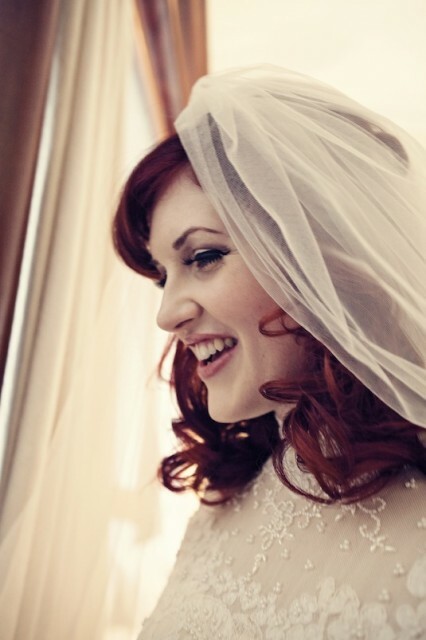 Helena also found the perfect veil to finish the look! 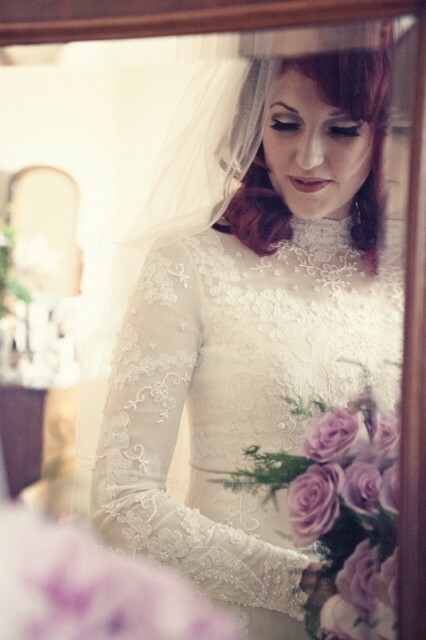 A stunning, full–length veil made to a 1960s pattern. It was actually made in the 80s, which is perfect as this was the decade I was born in – so I loved that I could add this to my dress. 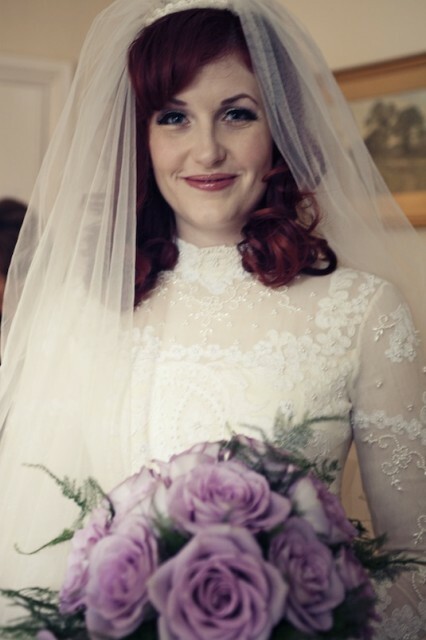 The veil added a bit of drama and made me feel like a princess! I didn’t want to take it off! Helena also let my sister change into her bridesmaid dress so we could see how the look would work together. I loved that the creams together looked a bit like the famous photo of Grace Kelly with her bridesmaids! I loved this attention to detail and salute to the designer. I felt honoured and also a bit of responsibility to be able to bring a piece of 1956 into 2015! 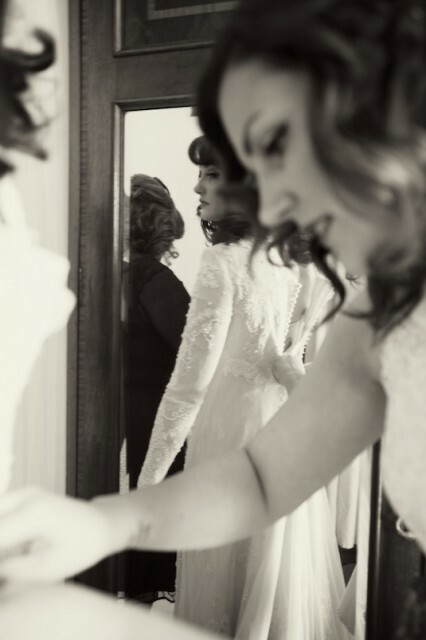 Helena was very reasonable in her pricing, considering all the time and care that went into my dress. Compared to buying a new dress (which let’s face it can be very, very expensive), you can make a great saving and you know Helena isn’t just in it for the money! She genuinely loves what she does and is very passionate. I would recommend her vintage experience to anyone, and if you’re like me, you get to cherish a piece of fashion history, to pass down to your children one day! I loved the whole experience and feel very honoured to be one of Helena’s Girls!